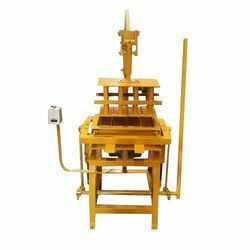 We are offering Hand Operated Concrete Block Making Machine. Hydraulic Motor Power (Horse Power): 2 H.P. - Output 800 To 1000 Blocks in Shift. 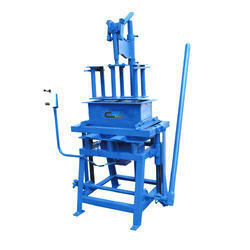 We offer high quality range of Concrete Block Making Machine. This machine is extensively used owing to compact design, rigid construction and excellent mixing of construction material. Our range is highly acknowledged for operational fluency and low maintenance and is easy to operate with high performance. manufacturer of Hydraulic cement brick Block machines. Adjustable pressure. Reliable and efficient in perfomance. Also make different size block molds for bricks. Videos of machine at below link.